The Sunday Times ran an interesting article in its business section on Sunday 22nd January. Entitled “Thank you but we just don’t want your money” it featured two female entrepreneurs determined to go it alone, rather than bring in other investors who may then start to want to take control of various parts of the business. These women - Hannah Durant of The Great Escape game and Genevieve Sweeney, who runs a luxury knitwear company - would rather go for slower, lower growth than yield part of their business to win investment. But some kind of business funding is key to the success of any business. Many entrepreneurs are not able to draw on resources that they have already built up and need to seek alternative funding. It is essential that the financial community makes available business loans UK-wide, as self-employment in the UK is now at its highest level for 40 years. As part of the growing trend for self-employment, the number of self-employed women in the UK has risen by 40% from 2008 to 2016, as compared to a 13% rise in the number of self-employed men. In many ways the UK is a very positive environment for women in business. 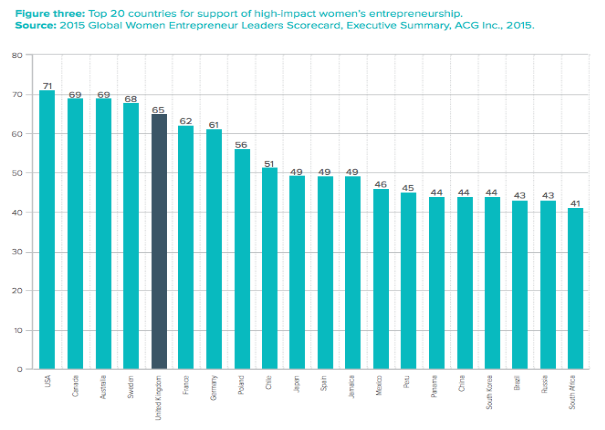 The 2015 Global Women Entrepreneur Leaders Scorecard - which measures, ranks and rates opportunities and challenges faced by female entrepreneurs in 31 countries - puts the UK in the top 5 countries for women’s entrepreneurship. Top of the charts is the US. They have had a long-term and sustained policy focus on women in businesses. As far back as 1979, the Office of Women’s Business Ownership was set up with the aim of increasing female participation in entrepreneurship. Then in 1988, the Women’s Business Center Program was established and now operates in almost every state, offering training in finance, management, marketing, and the internet, as well as access to financial and procurement assistance programs. It does not mean that everything is easy in the US. 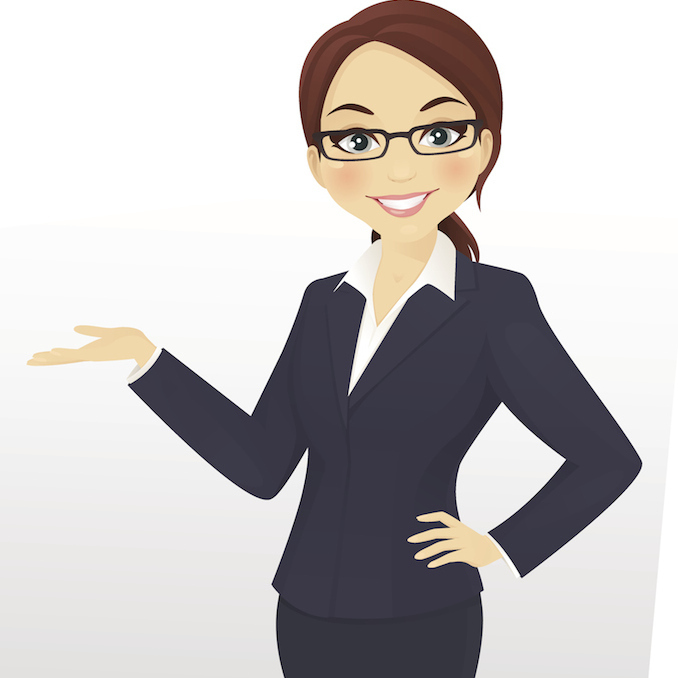 American female entrepreneurs have spoken of sometimes not being taken seriously, and in 2013, Forbes ran an article on the fact that women business owners still face greater funding challenges than men. Interestingly, Japan - though not particularly high in the above chart - is currently taking an initiative to boost the role of women in economy and society. The number of loans to women from the government-owned Japan Finance Corp. (JFC) increased by 21% in 2016, reflecting an increase in the number of women launching businesses to work for themselves. These businesses are often home-based and are mainly in service-related sectors, such as, cosmetics and restaurants. In 2016, we ran a blog called Women in Business that explored the recommendations of the Federation of Small Businesses (FSB), about what potential steps can be taken by the government to help women entrepreneurs realise their full potential. One of these recommendations is that women are made more aware of alternative sources of funding for a business loan in the UK, so that the hurdle of business funding is removed. The recommendations hope to overcome the unique set of challenges faced by women entrepreneurs. Whilst some of these are similar to those facing the small business community as a whole, there are still some specific and continuing barriers for women when setting up and growing their own business. These include the availability of business support, access to finance and childcare. If at least some of the above steps can be put in place, then it will help the UK tap into a valuable source of economic potential. Research by the Women’s Business Council indicates that the UK economy could be missing out on more than 1.2 million new enterprises due to the untapped business potential of women. At Fair Business Loans, we are proud to support female entrepreneurs and play our part in releasing this potential, and we are confident that longer term this will help to boost job creation, economic growth and a more diverse and representative small business community.